The star seems to show up best when L3 and L4 are the same color. If you’re using two colors, low contrast tends to complement the motif (but not always). Naturally, I couldn’t leave it alone, so I added some extra 3/4 stars for Star in a Cross variation. 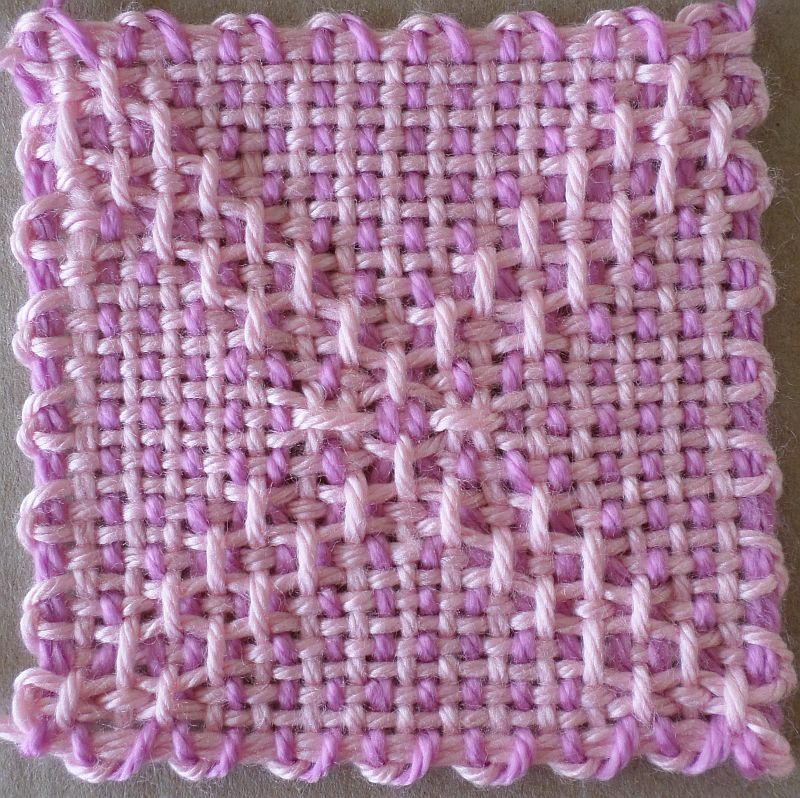 Can I make this block with my 6″ loom? I’m going to assume your 6″ loom is a Wunderwag, or comparable, meaning it has 47 x 47 warps and wefts. 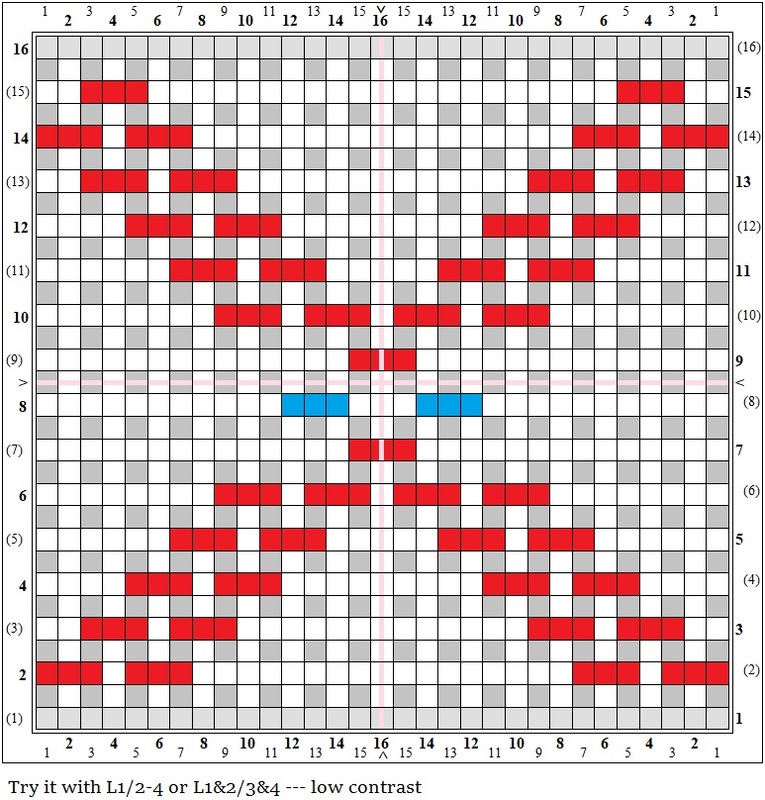 I’m going to guess this pattern can be woven on the 6″ loom. However, I’d prefer to diagram it out first; not all patterns transfer well between 4″ and 6″ looms (they don’t have the same least common denominators). 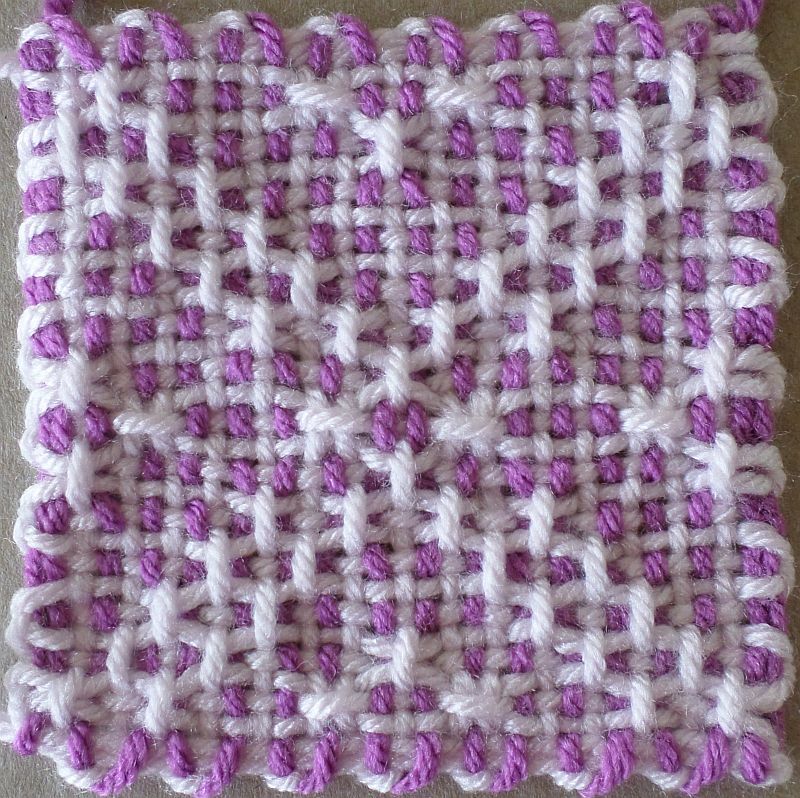 You can either download or print a blank copy of the 6″ diagram chart (http://adventuresinpinloomweaving.com/2018/08/07/6-47-x-47-design-charts/) and draw it out yourself or you can wait for me to do it–ha ha! 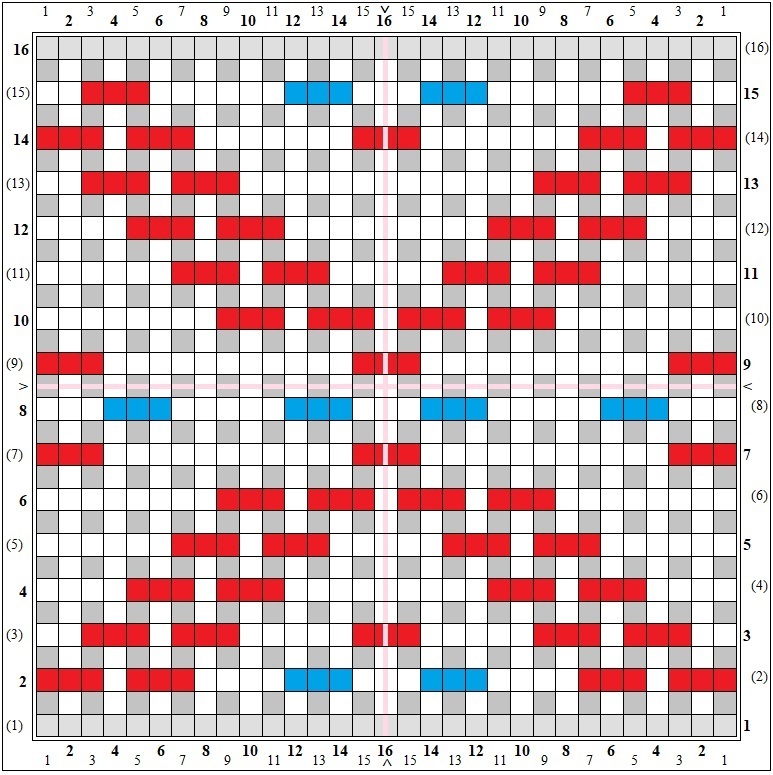 Because the 6″ loom is larger than the 4″, motifs (such as the little star in the center) can sometimes look insignificantly small on the larger square. Thanks for asking about this. I’ll have a look at it and will post my results if they turn out well.